Fashionistas Daily .Com: Looking Fabulous At Your Oscars 2010 Party Avatar Style! Looking Fabulous At Your Oscars 2010 Party Avatar Style! I just love award shows, the celebrities, glamorous gowns on the red carpet, cheering for your favorite movies & stars….. and when you think of all these what pops into your mind? The Oscars of course! I just love throwing an Oscar party!! Decorating the house, serving foods & pick one or two of the movie that’s nominated for the best movie as the theme of the party!! So don’t just throw on some drab outfits to your friend’s Oscars party! 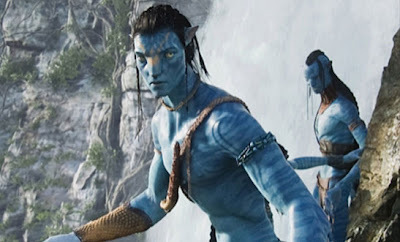 So for this posting, I am choosing “Avatar” as the theme for my Oscars party tomorrow night. Here are some ideas that you can wear to look “Out of this world” fabulous. What to wear: The cobalt blue has been one of the hottest colors of the season, many designers has use this fabulous color on their clothing & accessories for the spring summer 2010 collection. Vibrant cobalt blue jersey dress with cap sleeves & bright red embroidery of an eagle on the back is a great choice! This Gucci’s dress is so futuristic and “Sci-Fi” looking we think it’s super fabulous for the Avatar party! If you just want something a little more casual or you are one of those girls that’s a little scared of wearing bright colors all over, then this McQueen cape is a perfect choice! 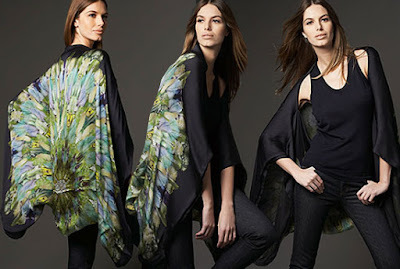 Oversized matte jersey cape with sleeve holes at both end, vibrant mixtures of greens, yellow & turquoise tribal print, it also mimicking the planet “Pandora” beautiful landscapes! So now you have a fabulous dress, time to think about the rest of the party. 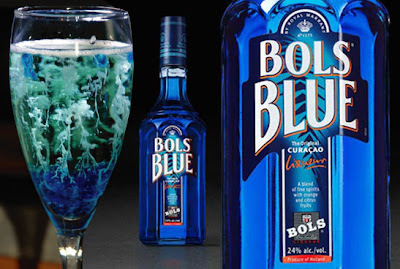 Food & Drink: When your friends arrive to your house, greet them with a “Blue Bay” cocktail: Blue Curacao Liqueur of your choice, here are some recipes you can choose from to make this fabulous blue drinks (Click here to see the recipes) ! Then also offer them some terra blue potato chips to snack on then when it’s time for dinner, serve your guests blue-cheese burgers and then follow up with blueberry ice cream or pie as dessert. Party Favors: Since this movie is all about being “Environmentally responsible” , “Green” & respecting & helping all living creatures / people. So what’s better than this Feed Kenya Tote Bag! Your purchase this bag to feed 2 Kenyan children for one year also to employ the women of their community! So next time when your friends are being offered the choice of “Paper or Plastic” at the stores, they can just use the bag you gave them so they can save our planet, feed the kids at Kenya & think of you each time they use it! 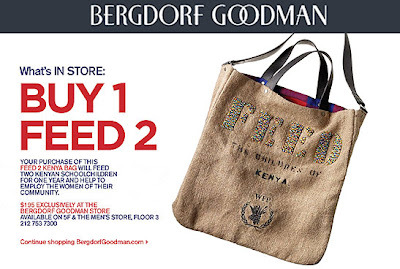 To find out more info about this awesome tote bag, click here “Feed Kenya Tote Bag” blog posting in our blog. We hope you enjoy this Pre-Oscars posting we have today, so now go pick out a perfect outfit, plan a perfect Oscars party to root for your favorite movies & stars! 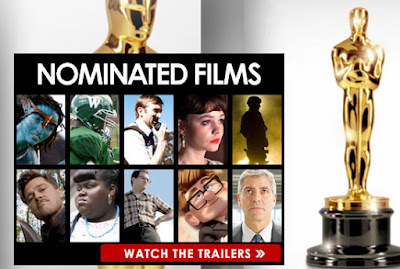 Click the photo below to see the trailers of all 10 movies that's nominated for this year's Oscars best pictures. 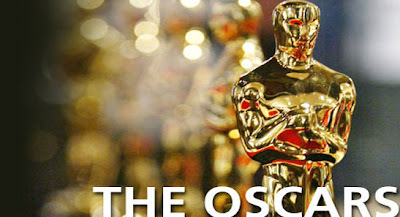 Don’t forget The Oscars is on March 7th at 8PM Eastern time or 5PM Pacific !